Left- and right-wing populists often blame free trade for North American job losses in manufacturing, though automation is actually the main culprit. 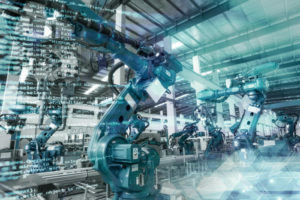 A 2015 study by the Center for Business and Economic Research at Ball State University concluded that of the 5.6 million manufacturing jobs lost in the U.S. between 2000 and 2010, 85 percent were attributable to developments in technology, namely automation. Automation and AI-induced job losses are certain to spread to other sectors. A 2016 World Bank study found that in the coming decades, 47 per cent of all jobs in the U.S., 57 per cent of all jobs in the OECD countries (essentially the developed world), and 77 per cent of all jobs in China are susceptible to automation and AI. Atlantic Canada, including New Brunswick, will not be immune to this shift. A 2016 study by the Brookfield Institute found that 41.5 per cent of New Brunswick’s employed labour force are in jobs that are at “high risk of being affected by automation,” meaning a 70 to 100 per cent probability of being affected over the next 20 years. The disappearance of so many jobs in such a short space of time could severely strain our current social welfare models. In the five fiscal years between 2012-13 and 2016-17, New Brunswick’s personal income taxes accounted for an average of 28 per cent of the province’s own-source budget revenue, and an average of 18 percent of all revenue. Federal transfers contributed an average of 36 per cent of the province’s revenue during the same period. An average of nearly 49 per cent of the federal government’s total revenue, during these five years, came from personal income taxes. What happens when potentially 40 per cent of the province’s and country’s income tax payers suddenly cease to earn income? The impact on provincial and federal income tax revenue (and thus federal transfers) would push New Brunswick ever closer into fiscal freefall. So, what to do about the impact of automation on the provincial job market and fiscal health? The current model of social program provision would become unsustainable, both due to expanded demand and severely diminished revenue sources. Moreover, the social disruption caused by automation, if not mitigated, could produce unsavoury political outcomes. Donald Trump’s victory was partly driven by anxious working class voters who attributed to free trade diminished job prospects that were far more rooted in automation. The rise of populist movement in Europe also drawing support from such anxieties. One idea that demands serious consideration is a guaranteed annual income (GAI). A GAI, broadly speaking, works like this: citizens are provided with regular payments from the government that adjust according to a sliding scale based on the employment income. These payments would eventually cease once a certain employment income threshold is reached. The aim would be to top-up existing earned income for all citizens, whether they were employed or not, and would be free of conditions. Such a scheme could only be affordable, especially in a low-employment future, if it replaced the suite of existing government programs, such as employment insurance, social assistance and public pensions. It may even demand the full or partial conversion of public health care funding into a personal health insurance fund, as some GAI proponents also suggest. Existing programs like student loans could also be folded into the GAI program. Replacing our current social welfare with GAI would not be without difficult adjustments for some. However, GAI may mitigate and diminish the much more severe consequences that an automation-induced jobs massacre could bring. It is a policy discussion worth launching. By Patrick Webber| 2019-01-31T14:08:54+00:00	January 31st, 2019|Op-ed|Comments Off on Could guaranteed income help to cope with automation?